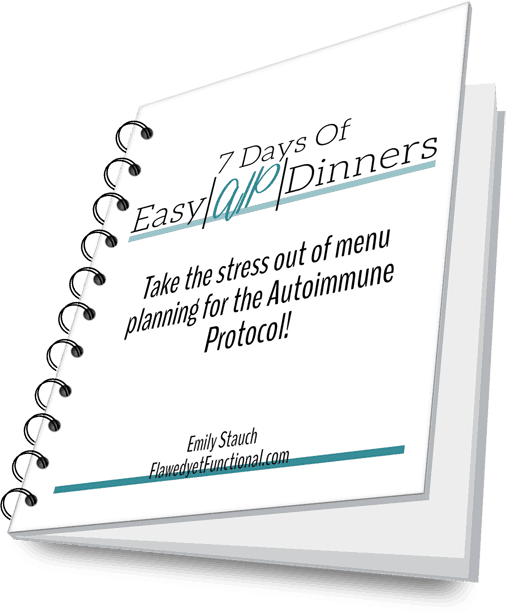 I am a Type 1 Diabetic working through the reintroduction phase of the Autoimmune Protocol. I stayed on the strict elimination phase for 43 days before trying my first reintroduction, egg yolks, and that failed miserably. Today, I’m happy to report a successful Stage 2 reintroduction: wine. A quick reminder of the reintroduction stages is below. 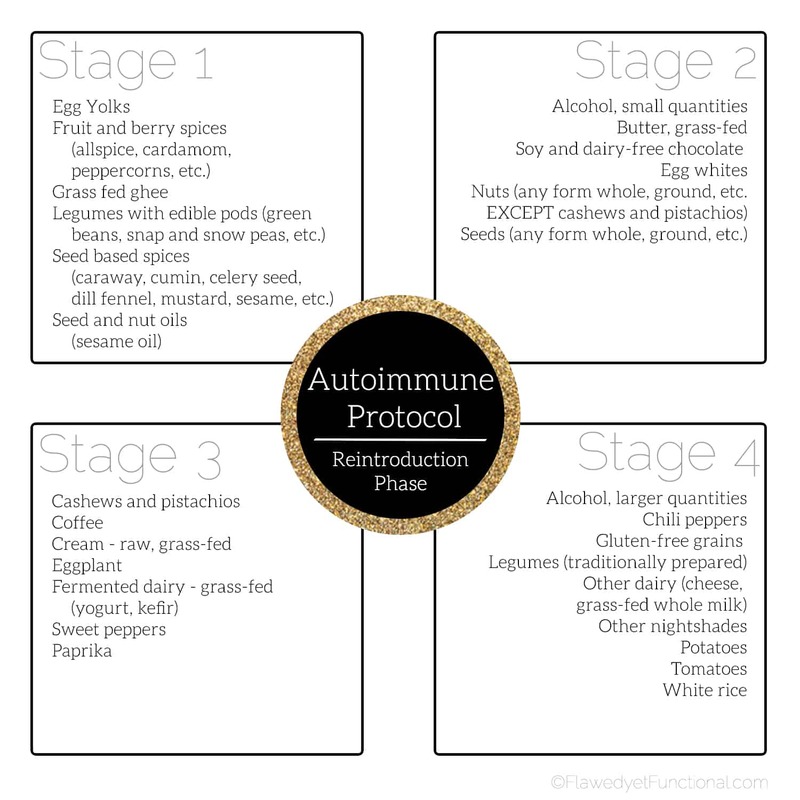 The stages are organized by which foods an autoimmune-impaired body will mostly likely tolerate (stage 1) to least likely (stage 4). It isn’t necessary to follow in a precise order, but the most likely place for a win is in stage 1. My first reintroduction of egg yolks elevated my blood sugar for 3 weeks! In my first report, I thought I had recovered after 2 weeks, but really my morning blood sugar didn’t return to sub-150’s until 3 full weeks after the egg yolk challenge. 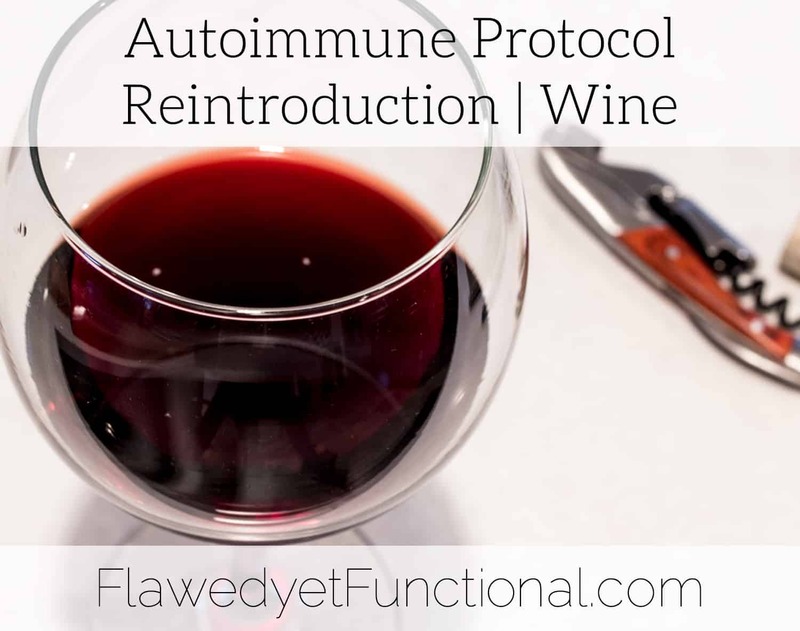 Feeling pretty defeated after that first reintroduction, I chose my second reintroduction to please myself rather than following the Autoimmune Protocol stages. I am human, folks. Wine in small quantities was my second reintroduction. Type 1 Diabetic Reintroduction Criteria: Two-three hours post consumption blood glucose reading of less than 150, and a fasting blood glucose the next morning of less than 150. The pre-bed blood glucose reading that night, about 3 hours after drinking the wine, was 116, and my fasting blood glucose the next morning was 155. Since the fasting blood glucose is my major measure of success, I was hesitant to call this a win. However, glucose meters have a margin of error of ±20%. So while my blood sugar could have been as high as 186, it also could have been as low as 124 (20% above 155 is 186 and 20% below 155 is 124). I tried blueberry wine for my round 2 reintroduction challenge of wine. Again, I drank 2 ounces of blueberry wine in one sitting then tested my blood sugar 3 hours later. My pre-bed reading was 140, and fasting reading the next morning was 147. The final step after the initial blood glucose readings of 3 hours post challenge and fasting blood glucose the following morning, is to monitor blood glucose levels for 3-7 days. During that time period, do not eat/drink more of the challenged item. Wait and look for elevated blood glucose results. In the 7 days after the wine reintroduction, I had 1 fasting blood glucose over 160, but my kids were sick and up multiple times that night. Besides that one reading of 164, my fasting glucose was between 143 and 156. That’s a win in my book! You may be thinking my results aren’t super great, maybe I shouldn’t be drinking wine at all! I realize that my blood sugar is borderline the morning after I consume wine. 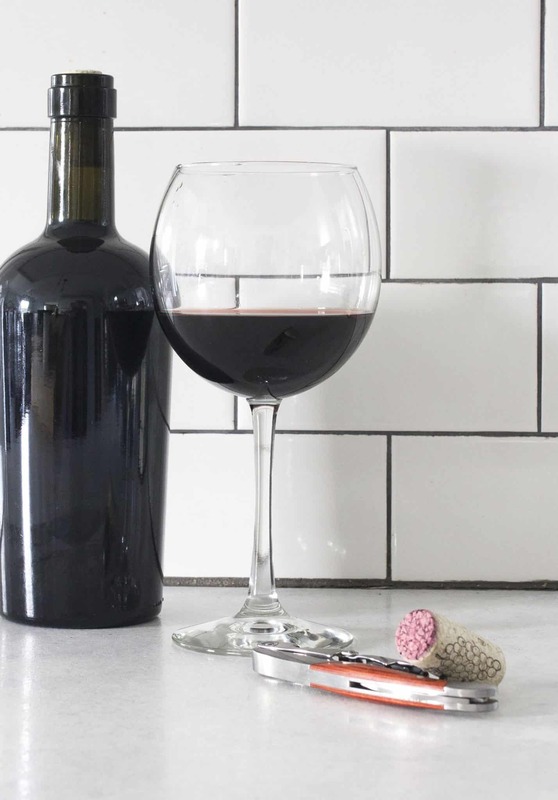 However, there are activities that bond our family, and wine-making is one of them. My husband used to be very into beer brewing and bread making prior to my Type 1 Diabetes diagnosis. Once we cut gluten from our diet, his desire for both of those foods were gone. However, he loves the process of making food and the experimentation that goes with mastering cooking/brewing/creating. So he took up making wine and hard cider. While my involvement in the wine-making is minimal, I really don’t help much at all, he and I work together to bottle it. I find the activity fun and a good thing to do while we talk. When he was brewing beer, I used to help him bottle that too. Quality time is one of my love languages, so I love the time spent bottling our alcoholic beverages together. For that reason, I want to make wine work. As I move forward with other reintroductions, I will be keeping an eye on how wine continues to affect me, but truthfully, I’m biased. I want to make it to work. My first successful reintroduction after the elimination phase of the Autoimmune Protocol as a Type 1 Diabetic is a Stage 2 reintroduction: wine. Small quantities is all I am consuming right now and not too frequently. After feeling so deflated after the egg yolk fail, a success feels so good! What hobbies or processes bring you and your significant other together? Have you had to move away from any due to health reasons?